UPDATE 330PM: State Police have located the missing man in good health. 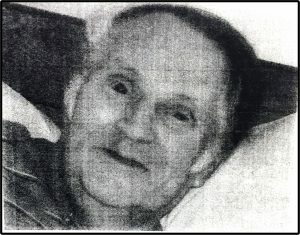 The State Police in Fulton are attempting to locate an elderly man who has gone missing from the village of Hannibal. Loren MacEwen is a 71-year-old missing vulnerable adult with dementia, police said. He was last seen at 9:30 a.m. today (July 1), walking on Oswego Street in the village of Hannibal. Mr. MacEwen is 6 feet, 2 inches tall, with gray hair, wearing a black shirt and blue jeans. Anyone with information on the whereabouts of Loren MacEwen is asked to contact State Police in Oneida at (315) 366-6000 or call 911.